Groot Zevert Vergisting B.V. (GZV), SYSTEMIC’s demonstration plant in the Netherlands (Beltrum, Achterhoek), has commissioned a new installation and started producing liquid NK-concentrates (nitrogen + potassium) from the liquid fraction of co-digested pig slurry. The product is further blended with ammonium sulphate and/or ammonia water which are recovered at other nutrient-recovery plants to meet the crop requirements of grass, maize and potato in the Achterhoek region. 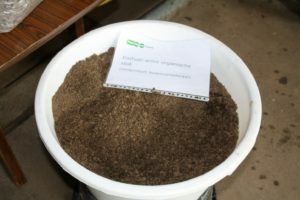 In 2019, the fertilising product will be used by 50 farmers who have signed up to join the ‘Biobased Fertilisers Achterhoek‘ pilot project which allows them to use the NK-concentrate blend as a substitute for mineral nitrogen (N) fertiliser, above the N application standard of manure, but within the N application standard of mineral N fertiliser. In the coming months, GZV will set up a new installation for the recovery of phosphate/phosphorus (P) from the solid fraction of co-digested pig slurry. Both magnesium phosphate (mainly crystalline struvite) and calcium phosphate (amorphous) can be produced. GZV will launch the production of struvite. Following phosphate recovery, the remaining organic fraction is a valuable P-poor organic soil improver. 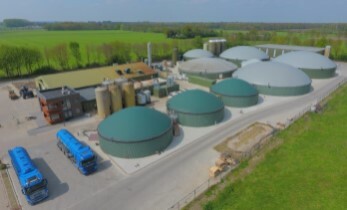 By enhancing the biogas production plant with nutrient-recovery technologies, GZV become the first ‘Green Mineral Mining’ centre in the Netherlands that is fully operational. Groot Zevert was set up in 2004 as a solution to the surplus of manure in the region and the profitable conditions for biogas production. 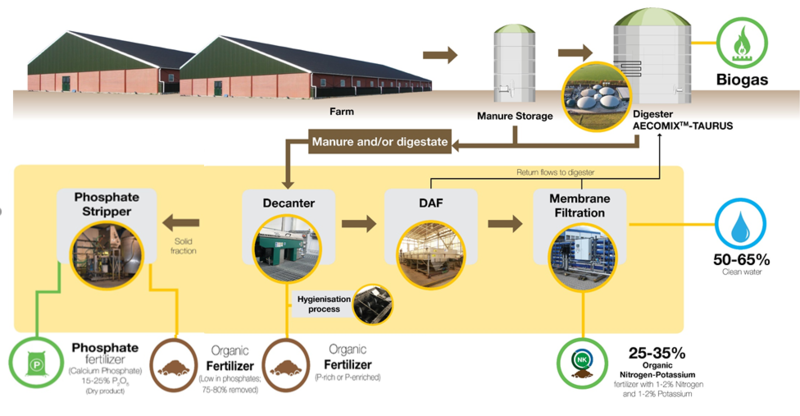 It now processes, through mesophilic digestion, over 100 kilotonnes of pig slurry (80%) and different types of agro-industrial organic waste per year. 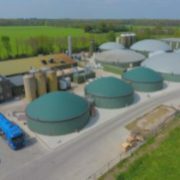 In 2019, the plant is being enhanced with a novel nutrient-recovery installation to convert the digestate into valuable mineral fertilisers, organic soil improver and clean water. This will end the current digestate disposal practices, including transport of digestate over distances of up to 300-500 kilometres to farmers in Germany. In the Netherlands, manure production from livestock farming is greater than the amount that can be applied on agricultural soils. Manure application is regulatory limited by both its phosphorus and nitrogen content. The situation is most pressing for phosphorus since about 15% of the P in cattle and pig manure in the Netherlands needs to be exported to regions outside of the country. Nitrogen is available in excess in regions with intensive livestock farming and although most of it can be used by arable farmers, disposal costs are still high due to large transportation distances. In collaboration with Nijhuis Industries and Wageningen University and Research, GZV has developed a solution for both the phosphorus and nitrogen problems (see figure below), which is now implemented as two additional Nutrient Recovery and Re-use (NRR) systems. One of the systems is for nitrogen and potassium (K) recovery from the liquid fraction (GENIUS) and the other one – for phosphorus recovery from the solid fraction called RePeat (recovery P to eat) since P is an irreplaceable and finite nutrient requirement for crops, animals and humans. The GENIUS system was launched towards the end of 2018/beginning of 2019 and is now producing NK-concentrate which is already being used by farmers in the region. In this GENIUS system, the digestate is separated into a solid and a liquid fraction by means of a decanter centrifuge (see figure below). The NK-rich liquid fraction is processed into a NK-concentrate and clean water through a combination of Dissolved Air Flotation (DAF) and a membrane filtration system, including Micro Filtration (MF), Reverse Osmosis (RO) and ion-exchange (IX). The separation of the liquid digestate fraction into NK-concentrate and clean water is expected to generate substantial cost savings for the plant by allowing local spreading of the NK-concentrate and discharge of water to nearby surface waters. The P-rich solid fraction will be treated with the RePeat P-stripper system through an ‘acid-base’ process. Sulphuric acid is applied to release the phosphate from the solid fraction and a base (magnesium or calcium hydroxide) is added to precipitate the solubilised P. If magnesium hydroxide is used, mainly crystalline struvite (magnesium ammonium phosphate) is formed, in which a part of the nitrogen is also enclosed. If calcium hydroxide is used, an amorphous calcium phosphate is produced which needs to be further dewatered. Following phosphate recovery from the solid fraction, a P-poor organic material remains, which can potentially be used as a soil conditioner or natural peat replacement for the pot soil industry. Part of the sulphate (added as sulphuric acid) can be recovered as an organic gypsum fertiliser. Since dewatering of calcium phosphate on a large scale is still a problem, GZV will start with the production of struvite (more crystalline) for which the system is designed with specific retention times. The engineering of the RePeat system has been completed and construction of the full-scale installation is expected to finish in June 2019, after which an extensive period of testing and optimisation is foreseen. The installation will convert 50 tonnes of solid fraction into organic soil improver, organic gypsum sludge and struvite per day. The Green Mineral Mining centre contributes to the overall goal of the SYSTEMIC project to demonstrate the technical feasibility of nutrient-recovery technologies and to determine the quality of the end-products. Scientific information on the agronomic performance and environmental quality of biobased fertilisers is key to stimulate the use of these new fertilisers by farmers or industry. Policy-makers also require this kind of information to adapt European or national legislation in order to overcome legal barriers.